Lip-lift surgery, which it is often referred to as ‘upper lip-lift surgery’ is a surgery which often attracts middle age individuals who want to have a younger, fresher look. Some individuals feel that the space above their top lift is just too long and requires surgery in order to restore youthfulness, balance and harmony to the face. Why have a Lip Lift? A lip lift reshapes and emphasises the pink edging (vermilion border). Lip lifts can improve the appearance of your smile and make your upper lip seem fuller. There are three different types of lip lift surgery. The most commonly used lip lifting technique is known as the ‘bullhorn lip lift’. The bullhorn technique is where the surgeon makes a small incision underneath the nose, in the natural crease and stretches the sagging, elasticized skin back up under the nose. The surgeon then sutures the skin in place, and removes the excess skin. This technique leaves the lips with extremely soft, youthful and rejuvenated top lip. In addition to removing the skin, some surgeons tend to remove a small piece of muscle, which is found directly underneath the skin. The second technique, which can be used when performing a lip lift surgery, is known as the ‘Gullwing lip lift’. This technique is also known, as the ‘Vermillion Lift’ The Vermillion boarder is the small line, which separates the skin on the face to the skin on the top lip. It falls just under the philtrum, which is the small parallelogram, which can be found above your top lip. The vermillion border for females is used as a guideline for applying lipstick and lip liner. The surgeon begins this procedure by making an incision along the vermillion border. The lip is then pulled upwards and the excess skin is removed. The skin is held in place using surgical sutures. This also creates a much smaller area between your nose and your lips, which makes the face much more balanced. The final technique that can be used when performing a lip lift is the ‘corner lip lift’. This is a specialized technique for the individuals who not only have a top lip that has drooped, but also find that the corners of their lips have dropped too, causing their facial expression to appear unhappy. The surgeon begins by making an incision along the outer most part of the lips. The incision is inconspicuous as it is made in a natural fold of the skin. The skin is then lifted either side of the mouth and this creates a less drooping appearance. 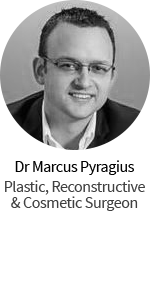 If you are not sure which one of the three techniques you require, your surgeon will go through all your wants, needs and goals you wish to achieve from the surgery. As with all procedures, there are many risks associated with have a procedure under general anesthetic. The risks that come with having a general anesthetic can include; suppressed breathing, lowered blood pressure, and blood clots in the lungs, blood clots in the legs, heart failure and even death. Approximately one-third of patients who receive an anaesthetic during surgery will experience “anaesthesia sickness” or post-operative nausea and vomiting (POVN). The risks and complications that come with having the lip lift surgery are numerous but rare. Stiffness of the upper lift can be experienced after the surgery. Numbness is also complication that can occur as the face is full of nerves and there is a small chance that when the surgeon makes the incision, he or she might severe a nerve in the process resulting in numbness. Keloid scaring is another complication of the surgery and is where the scar becomes raised and red; this is not aesthetically pleasing and can be painful. If you do have a history of keloid scaring, then this may not be the best surgery for you as the incisions may be placed in natural creases of the lips, if they become keloid scars, then this can be detrimental for your over all look. Q. Are there any issues of the skin, which may lead in the individual not being able to have this surgery? A. If the individual suffers from an active skin disorder, has an infection, active cold sores or has trouble with scaring (keloid scars) then this surgery is not advisable for the individual. Q. Is there anything I am doing which can cause slow healing of my scar? A. If you smoke, this can cause delayed heeling. Q. How long does this procedure take? A. Around 30 to 40 minutes if there are no complications. Q. How long is the recovery time for this procedure? A. Healing time can depend on the individual however; you should be back to work within 7 to 10 days approximately. The upper lip may appear slightly swollen and sore, but this will only last for the first week after the surgery. If the swelling and pain persists, ensure that you seek the advice of a medical professional immediately. Hi. I would like a corner lip lift & lip lift. The corners of my mouth droop & it is an effort to look pleasant. My lips are very thin also. Please let me know the cost of these procedures & if a payment plan is offered. I’d love a lip lift too. My mouth corners drop a little and my philtrum is too long. I am in Perth. One Dr advertises that he does them here but his work didn’t appeal to me (nice enough Dr, though). Any other recommendations? Here’s a link to Perth surgeons – you might have to do a ring around. Hi, can we get lip lift surgery if we had aquamid injection on nasolabial folds & the nose before? My philtrum is very long 🙁 From research & advice, it can be dangerous if previous injected aquamid area gets infection. Because the incision & suture will be at the base of the nose which is quite close to the nasolabial area & may get infected/swelling etc. Many thanks. I’d definitely have a consultation with a professional to get your questions answered. I’d say you’re right, but best to speak to a professional. Let me know if you need help finding one. Yes, can you please help finding a Professional in Sydney? I’m interested in a lip lift, but I cannot find any surgeons in Brisbane that have enough experience with this. Can I please have some suggestions. Alternatively, Sydney would be my next choice (but not keen on the higher prices)…. What’s the price range for a bullhorn lip lift in QLD? Is it cheaper to do in conjunction with other surgeries if it requires general anaesthetic? 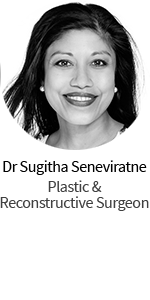 Email trish@plasticsurgeryhub.com.au and she will find out for you.